With a career that first defined by his metrically-challenging work and instantly recognizable drum sound with progressive rock groups Yes and King Crimson, nothing could have prepared anyone for the surprise of drummer Bill Bruford's first solo release, Feels Good to Me. 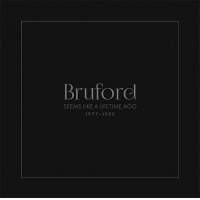 While Bruford's signature stylea mathematically-precise approach that never failed to find the innate groove in even the most complex of time signatureswas in clear evidence, the album didn't sound like a drummer's solo album. The emphasis was on composition, and while others in the groupincluding Hatfield and the North and National Health keyboardist Dave Stewart, on-the-ascendance guitarist Allan Holdsworth and the then-unknown electric bassist Jeff Berlinwould have ample room to demonstrate their formidable talents, there was nary a drum solo to be found. Bruford made it clear from the get-go that his role as bandleader was to be that of an equal contributor rather than a dominant voice. 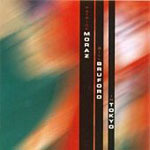 And while these late-'70s releasesFeels Good to Me, One of a Kind, Gradually Going Tornado and The Bruford Tapesclearly emerged from a progressive rock sensibility, they also demonstrated a harmonic depth that echoed Bruford's longstanding interest in jazz albeit, in the case of these recordings, more of the fusion kind. The late '70s was a time that had already seen a number of American fusion groupsincluding John McLaughlin's first incarnation of Mahavishnu Orchestra, various versions of Chick Corea's Return to Forever, and Herbie Hancock's Headhuntersimplode, to some extent as a result of their own self-indulgence and egos; and the emergence of punk in the UK signalled the beginning of the end to a larger rock audience's interest in more complex music. 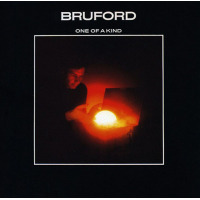 Still, Bruford's group, ultimately named simply Bruford, emerged with a style of its own; one that regarded complicated composition as de rigeur, but also imbued with a lack of pretension and a certain sense of humour that, like Stewart's work with Hatfield and the North, avoided pomposity and bombast, two terms so often closely-associated with progressive music. With Bruford's young Summerfold Records label releasing new work as well as remasters of projects beginning with his Earthworks Mark I band in '87, there is the contrasting Winterfold Records, dedicated to reissuing remastered and expanded editions of his early solo efforts, as well as his early-to-mid-'80s work with keyboardist Patrick Moraz. That Bruford has placed a demarcation point between his earlier electric work and his later acoustic work is really just artifice, because Bruford has always worked along a constant and evolving continuum. His sound and approach has both changed and loosened up over the past 30 years, but he's still as unmistakable as ever. The Winterfold reissues, which sport noticeably improved sonics, come with a free bonus sampler disc of music from the Summerfold catalogue. The first notes of "Beelzebub," with Bruford doubling on xylophone, made it immediately clear he had been doing more than merely honing his signature drum style over the years. 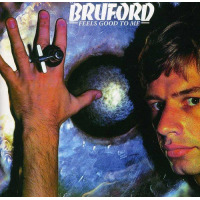 His brief solo piece, "Five Per Cent for Nothing" on Yes' best-selling Fragile demonstrated that, when given a chance to compose, Bruford's interests extended well-beyond the drum kit, but the kind of compositional depth and maturity of Feels Good to Me came completely out of left field. While Bruford graciously acknowledges the contribution of Stewart's "reasonably advanced harmonic advice"and Stewart would, indeed, assist with the arrangements and compose some material for the recordingfor the most part all the compositions are Bruford's and it's clear he's been doing a lot of homework. And while there may not have been a plan, at the time, to make the core group on the recordStewart, Holdsworth and Berlina more lasting collaboration, that is exactly what happened, with the group staying together for three years, although Holdsworth would leave after the follow-up disc, One of a Kind, to be replaced by a student of his, often referred to as The Unknown John Clark. Feels Good to Me is a landmark recording for a number of reasons, not the least being the sheer chemistry between the core members. Allan Holdsworth had been gradually gaining a reputation for a fearless style that combined rapid legato work and a completely unconventional musical language, and had begun to receive recognition in North America for his work with drummer Tony William's New Lifetime; but his work here remains some of his best of the time. John Clark would capably follow in Holdsworth's footsteps, but he would never have Holdsworth's impact and immediacy. Berlin, a fleet-fingered and harmonically imaginative young player from the US, was as capable of working tongue-in-groove with Bruford on the more song-based ballad "Seems Like a Lifetime Ago (Part One)" as he was navigating challenging and complex counterpoint on the Bruford/Stewart composition "Sample and Hold." With a whole generation of bassists turned onto and emulating Jaco Pastorius, Berlin seemed to conspicuously avoid such trappings with an approach that may not have had the same kind of monumental effect, but perhaps should have. Stewart had already established his voice in the UK but sadly, even though Bruford would ultimately tour in North America, he never gained the kind of widespread recognition he deserved. An intuitive and inventive accompanist and a distinctive soloist who managed to find thematic threads to wind through the most complex of passages, Feels Good to Me would never have had the same impact, had Stewart's unique harmonic voice been absent. 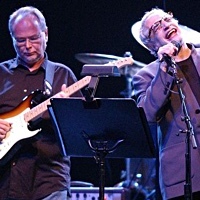 Adding to the intrigue of the album, which ranges from the anthem-like title track and the 5/4 ballad, "Either End of August," to the convolutions of "If You Can't Stand the Heat" and the darker "Back to the Beginning," are appearances by vocalist Annette Peacock and trumpeter Kenny Wheeler. Peacock is almost discomfortingly high in the mix on the three vocal tracks, and yet it's highly effective. And as idiosyncratic as Bruford's writing style was at the time, the vocal tracks were, by no means, attempts at pandering to radio play. In fact, what is so refreshing about Feels Good to Me is its complete lack of compromise; there's no question that this is the album Bruford wanted to make, and it weathers the test of time incredibly well. 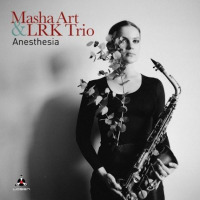 Even the appearance of a variety of analogue keyboard soundssounds that would often date material by other artistsfeels natural here, and the disc avoids sounding dated. The one bonus track is a decidedly low-fi live recording of Berlin's "Joe Frazier," with Clark replacing the by-then-departed Holdsworth. While the quality of the live tracks on the Bruford group Winterfold Reissues leave something to be desired in the way of sound quality, they demonstrate the kind of energy the band had in performance and that, while the material was more intricately structured and orchestrated than Bruford's later work with Earthworks, the band still took plenty of liberties. 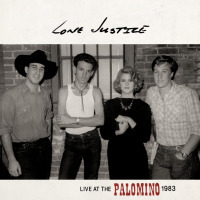 By the time One of a Kind was recorded two years later, the core group from Feels Good to Me had become even more focused. Bruford restricted himself to the drum kit, likely in an effort to create a recording that could more easily be reproduced live. Gone, too, were the vocals and added trumpetfurther indications that Bruford was looking at the group as a viable touring entity. With Dave Stewart gone from National Health and Holdsworth back from time in the US with Tony Williams, it seemed as though everything was lining up. And while there are somewhat fewer textures on One of a Kind, it's more than made up for by a firmly-cemented group sound, and a more consistent set of compositions. Bruford is still the primary composer, but the album also features a tune by Stewart and Alan Gowan, another sadly under-appreciated keyboardist who worked with Stewart in early incarnations of National Health, and a tune by Holdsworth. That "Hell's Bells" and "The Abingdon Chasp" seemed to fit seamlessly within the overall complexion of the album is simply a testament to the fact that, while every member was a strong musical personality, they were also an ensemble that moved forward with a singular vision. The same characteristics found on Feels Good to Me are evident on One of a Kind, with everyone demonstrating palpable growth. Holdsworth's style, as distinctive as it is, would ultimately evolve into something more abstract that would, in some ways, alienate some of his core audience, but at this point he's still eminently approachable, equally capable of relaxed and flowing lines as he is rapid-fire exchanges. Berlin finds the comfortable middle-ground, with a formidable technique that never seems on display for the sake of it. 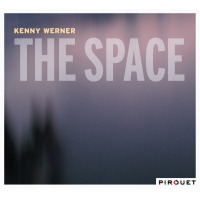 Stewart continues to avoid the trappings of contemporaries like Keith Emerson and Rick Wakeman, with a conception that is clearly broader than both and an interest in the ensemble that demonstrates a refreshing lack of ego. The compositions are even more episodic than those on Feels Good to Me, and in many ways more challenging. And yet, despite a landscape of constantly-shifting meters and tempi, the magic of One of a Kind is that it remains compelling and accessible. The irregular meters are so comfortably-executed and in-the-pocket that unless one is paying attention, one doesn't really notice them. Solos flow organically throughout the long-form compositions, integrated in ways that makes them feel a part of the larger whole even though, in performance, it would become clear just how much freedom was being afforded. It's hard to know what to call these early efforts from Bruford. Clearly coming from the kind of written complexity of progressive rock, they manage to avoid the obvious trappings of excessive so predominant at the time. 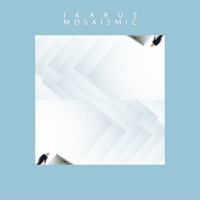 And harmonically more sophisticated than progressive rock, they approach a jazz sensibility, but there's less group interplay and solos are strictly on-form. 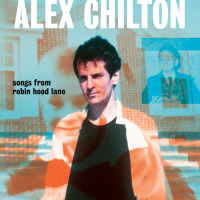 Once again the bonus track is a less-than-perfectly recorded live track featuring Clark in place of Holdsworth. But "Manacles," a Bruford/Stewart collaboration, would never be recorded on a studio release and, consequently, is a welcome addition. Holdsworth would soon leave the group and Bruford, with John Clark in tow, would record one more studio album, Gradually Going Tornado and release the live The Bruford Tapes before moving on to a reformed King Crimson. But the fact remains that Bruford's late-'70s work demonstrated many of the attributes that would continue to evolve into later projects, including Earthworks Mark I and his current Earthworks Mark II band. Reissues of Gradually Going Tornado and The Bruford Tapes will be released in the coming months, and will be covered in a future article. 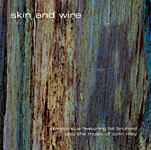 Personnel: Bill Bruford: tuned and untuned percussion, kit drums, tunes and final say; Dave Stewart: keyboards, reasonably advanced harmonic advice; Allan Holdsworth: guitar (1-10); Annette Peacock: vocal (2, 3, 10); Jeff Berlin: bass; Kenny Wheeler: flugelhorn (3, 9); John Goodsall: additional guitar (6); The 'Unknown' John Clark: guitar (11). 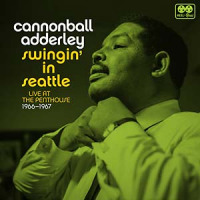 Track Listing: Beelzebub; Back to the Beginning; Seems Like a Lifetime Ago (Part One), Seems Like a Lifetime Ago (Part Two), Sample and Hold; Feels Good to Me; Either End of August; If You Can't Stand the Heat...; Springtime in Siberia; Adios a la Pasada (Goodbye to the Past); Joe Frazier (Bonus Track). 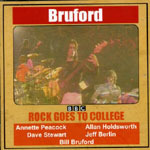 Personnel: Bill Bruford: drums and cymbals; The Mock Turtle (5), Dave Stewart: keyboards; Allan Holdsworth: guitar; Jeff Berlin: bass; Eddie Jobson: violin (8); The 'Unknown' John Clark: guitar (11); Sam Alder: narrator (5); Anthea Norman Taylor: Alice (5). 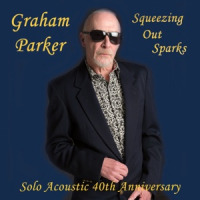 Track Listing: Hell's Bells; One of a KindPart One; One of a KindPart Two; Travels With Myselfand Someone Else; Fainting in Coils; Five G; The Abingdon Chasp; Forever Until Sunday; The Sahara of SnowPart One; The Sahara of SnowPart Two; Manacles (Bonus Track).